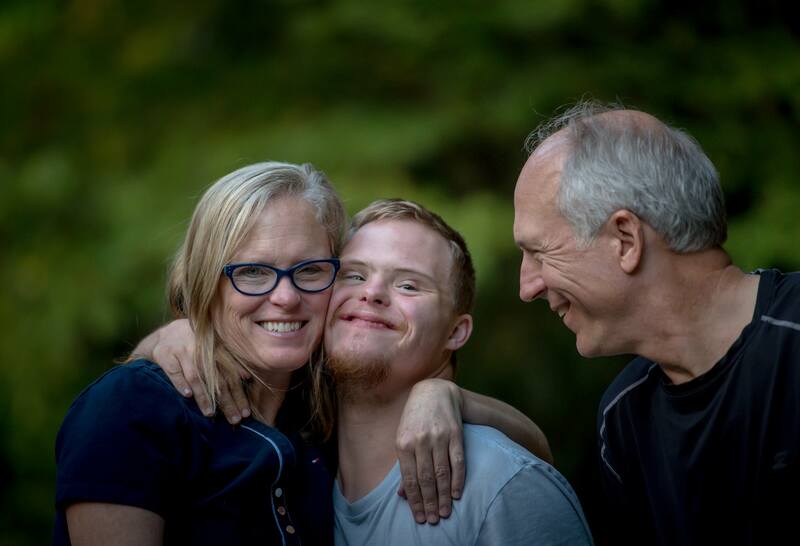 While there is no cure for Down Syndrome, there are therapies, treatments, and educational support available to improve the quality of life of those affected. The exact course of treatment will depend on the individual, taking into account the person’s age, overall health, environment, and personal strengths and limitations. Unsurprisingly, early intervention produces the best results. Young children are constantly in the process of developing speech and motor habits; by acting early, parents can foster the appropriate physical and behavior skills so that they become a habit. Even before a child with Down Syndrome reaches school age, various therapies can help. Speech-language therapy addresses communication and language skills by focusing on articulation, cognitive skills, and strengthening the oral muscles (tongue, lips). Speech-language therapy can be employed at the infant and toddler stages. The overall goal is to improve the child’s ability to communicate. One thing to watch out for in particular is hearing loss. Due to anatomical differences in children with Down Syndrome, they are prone to fluid retention behind the eardrum that can cause hearing loss. Even though the fluid can be drained, this sometimes-chronic condition exemplifies how a child’s learning of auditory language can be disrupted. The result is, of course, life-long difficulties in speech and understanding. Communication takes many forms, and your child’s specific needs will shape what is stressed during therapy sessions. Physical therapy focuses on improving how a person moves. Because children and adults with Down Syndrome commonly have poor muscle tone and smaller hands, physical therapy can allay any difficulties caused by these traits. A physical therapy regimen will likely include strengthening and toning muscles, improving overall coordination and balance, and correcting posture. Like the name suggests, occupational therapy is designed to improve the day-to-day skills necessary for living a healthy life and successfully navigating society. Unlike physical therapists, occupational therapists work on improving fine motor skills and the performance of daily tasks like getting dressed, brushing one’s teeth, and eating. As the child gets older, the focus will shift to skills like writing and using a computer. Assistive technology is a term used to describe devices that [help a person with a disability function better. These devices can be anything from hearing aids, pencil/pen grips, seat cushions and walking aids to large-button mobile phones and large-letter keyboards. Touchscreen tablets and computers are useful for children with Down Syndrome who struggle with performing fine motor movements. Educational software approaches learning via interaction and implementing sight, sound, and touch, which can make lessons more accessible and appealing. Children with Down Syndrome qualify for special education under the U.S. Individuals with Disabilities Education Act (IDEA). This means that educational services and accommodations should be made available to these children until they either finish high school or reach the age of 21. These services and accommodations will be delineated through an Individualized Education Plan (IEP) drawn up by the school, parents, and health professionals.